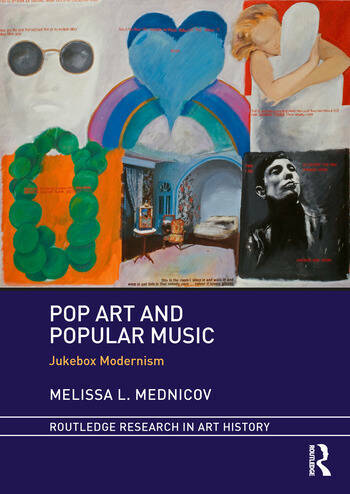 This book offers an innovative and interdisciplinary approach to Pop art scholarship through a recuperation of popular music into art historical understandings of the movement. Jukebox modernism is a procedure by which Pop artists used popular music within their works to disrupt decorous modernism during the sixties. Artists, including Peter Blake, Pauline Boty, James Rosenquist, and Andy Warhol, respond to popular music for reasons such as its emotional connectivity, issues of fandom and identity, and the pleasures and problems of looking and listening to an artwork. When we both look at and listen to Pop art, essential aspects of Pop’s history that have been neglected—its sounds, its women, its queerness, and its black subjects—come into focus. Melissa Mednicov is Assistant Professor of Art History at Sam Houston State University.